Home to one of the world’s leading collections of pharmacy artifacts, the Museum offers a unique glimpse into the past. From the Upjohn Disneyland collection to a full-scale replica of an old-time drugstore, we help keep pharmacy history alive. 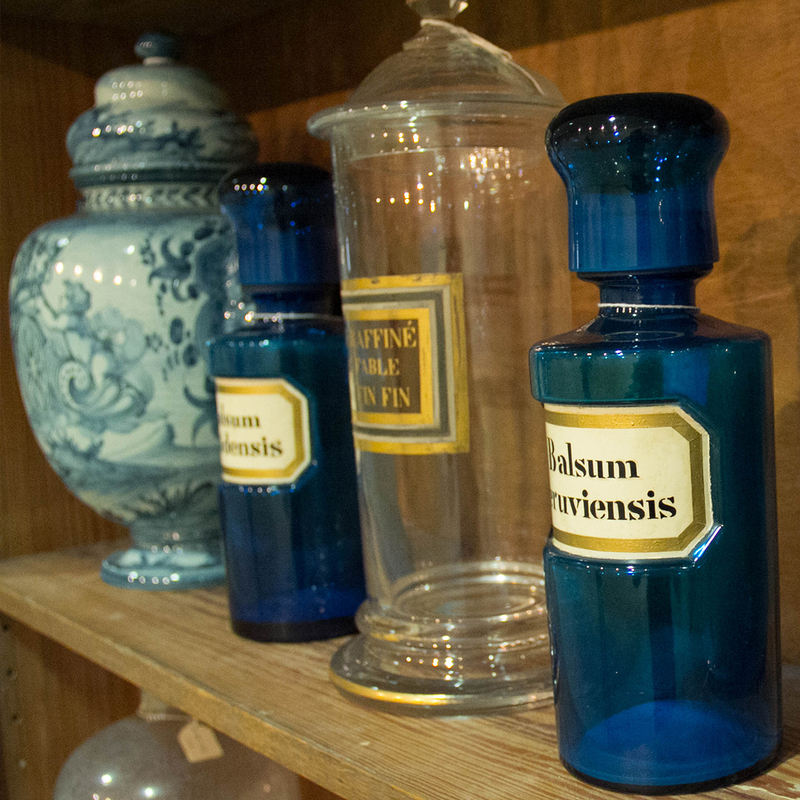 The History of Pharmacy Museum is a hidden gem in Tucson and the University of Arizona. The History of Pharmacy Museum at the University of Arizona College of Pharmacy grew out of the work of Jesse Hurlbut, a former Tucson pharmacist and state pharmacy board inspector and collector of pharmacy items from around Arizona and the West. The museum opened in 1966 in the old Pharmacy/Microbiology building on the University's Main Campus and was moved to the College of Pharmacy in the Skaggs Pharmaceutical Sciences Center in 1982. In 2012, the museum expanded to include Roy P. Drachman Hall, and it continues to grow and develop, with exhibits regularly being added and updated. Visit us at the museum to view a collection of hundreds of thousands of items, including bottles, original drug containers, books, store fixtures, and artifacts from Arizona (circa 1880 to 1950) and elsewhere. Manufactured by Hynson, Westcott & Dunning, Inc.
Mercurochrome (patented name for merbromin compound) is a commonly-remembered application for cuts and bruises. As the name suggests, it contained small amounts of mercury, and would commonly turn skin orange or brown when used. By 1998, the FDA had classified Mercurochrome as a “new drug,” meaning that any company interested in bringing it to market again would have to go through the same lengthy, costly process they would to bring any drug to market. This proved prohibitively expensive, so Mercurochrome ostensibly died as a result.